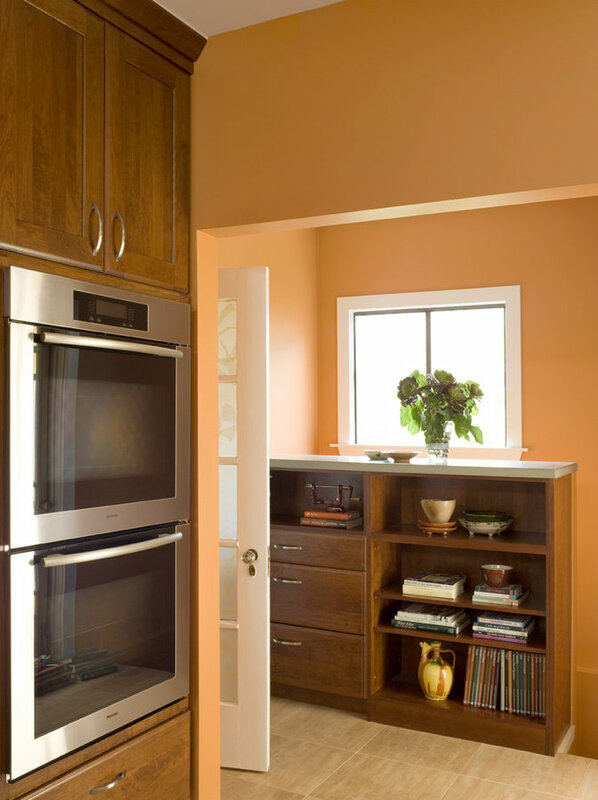 An avid cook, the client thought he was comfortable with his kitchen's configuration when he hired us. But by flipping the entire plan and creating work stations, we greatly improved his storage, work flow and creativity. 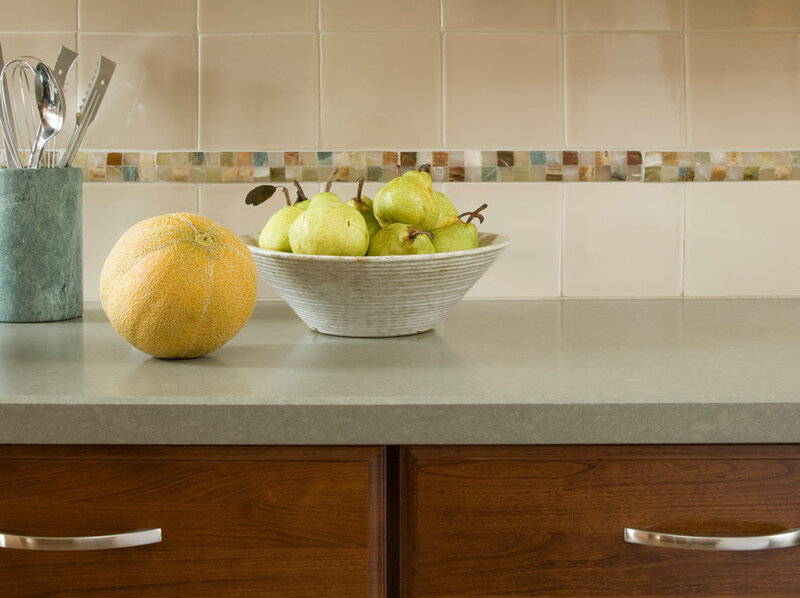 Set into the ceramic tile backsplash, an onyx and stone liner was the color palette inspiration for this new kitchen. 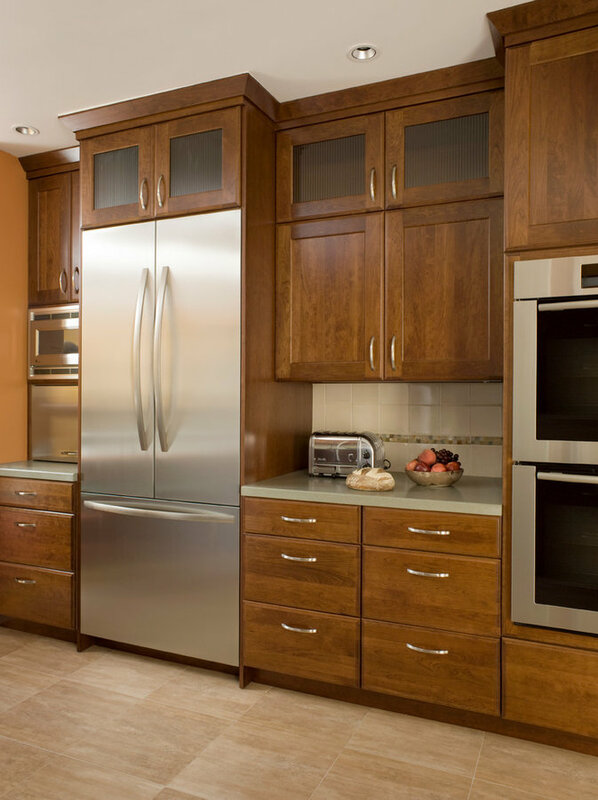 Walnut cabinets accented by honed Caesarstone countertops. 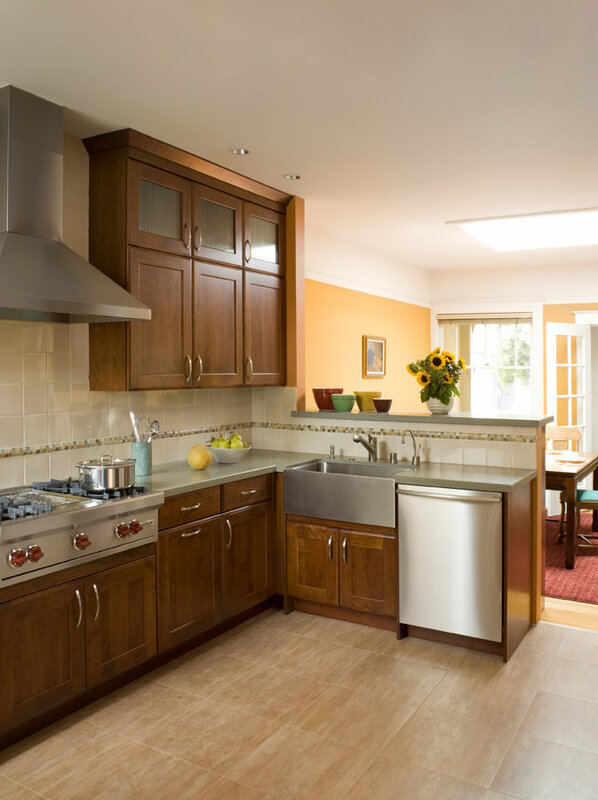 A contemporary stainless steel apron sink helps unify the new kitchen with the existing architecture of the home. An open stair railing was replaced with a built-in bookcase which supplements existing kitchen storage in the adjacent entry. 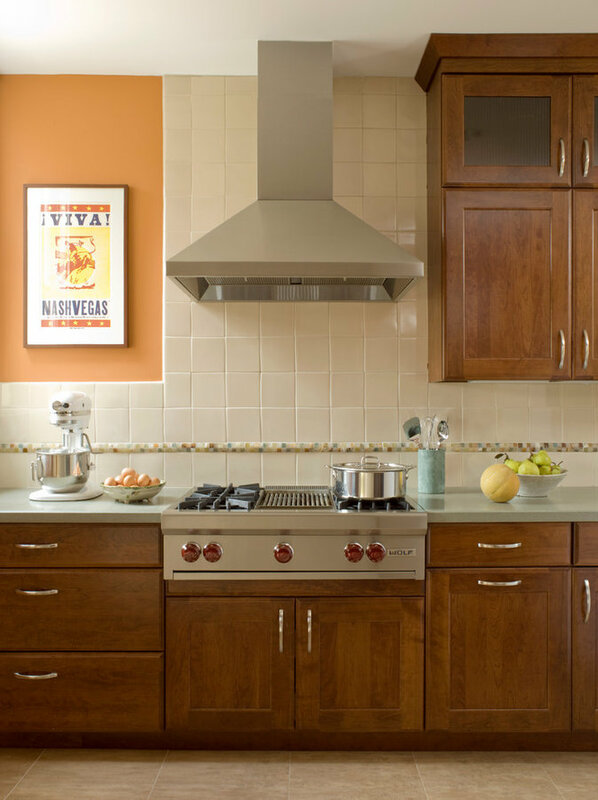 Pale green Caesarstone countertops flank the major appliances for convenience and safety.